My friend and colleague, Rev. Peter Munguti, is the national director of Bible Translation and Literacy in Kenya. 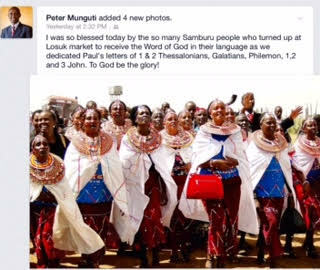 He made this post recently on FB of the Samburu people people celebrating the arrival of God’s Word in their language. Peter reports that during the ceremony it was declared by the Samburu people, “God is no longer a foreign God…today he speaks Samburu!”Those of us on staff at Wycliffe Bible Translators USA hear this story repeated again and again as the Living Word arrives and moves into the neighborhood, and dates back to experiences in the Old Testament. The arrival of God’s word is always a “sacred day.” It’s not because of the arrival of a book…it’s because of the joy experienced when God’s word is understood. 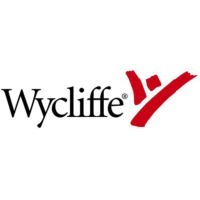 Faith comes by hearing and understanding, resulting in great joy and worship of the author.